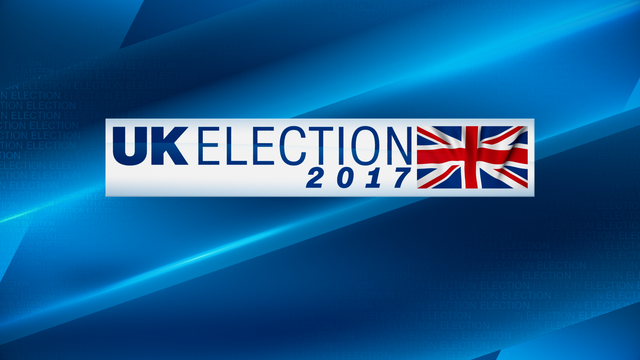 CNN International will kick off rolling coverage of the UK election with special programming, beginning at 10pm BST on Thursday 8 June, tracking all the latest news, polls, results and reactions as the UK heads once again to the polls. Coverage on 8 June will be anchored from the CNN London bureau by Hala Gorani and Richard Quest, with correspondents stationed at key locations for the big vote. Christiane Amanpour will be outside the Houses of Parliament, where she will be joined by Robin Oakley to interview key guests during the evening. At Theresa May’s campaign headquarters, Nic Robertson will be on hand to gauge reaction, while Fred Pleitgen will be at Labour leader Jeremy Corbyn’s campaign HQ. Nina dos Santos will be stationed at a key polling station as voters cast their ballots, and Erin McLaughlin will be in Brussels, to look at how the vote might impact on Brexit negotiations. On digital, full coverage of the political and business angles will be on CNN.com, which will also be running a live stream of CNN International TV on the evening of 8 June, from 9pm BST to around 2am the following morning. Digital contributors will include former political editor at The Independent, Jane Merrick, and former BBC political correspondent, Carole Walker. The CNN digital news team will cover the breadth of the UK — from Bridgend and Port Talbot in the steel-now-rust belt of Wales, to the diverse Birmingham, to Norwich, with a particular focus on Britain’s young voters. Online coverage will also feature CNN Money’s Brexit Job Tracker. The following day on CNN International television, as the result becomes clear, Becky Anderson, Max Foster, and Hannah Vaughan Jones will join coverage, getting the latest comments, interviews and reactions from Westminster. The live stream will run on the international edition of CNN.com, excluding Africa, Japan, Thailand and Malaysia.